While Rhodes' most popular 'modern' attractions are its beautiful beaches, this island's rich past has laden it with a wealth of cultural and religious sites. Visitors can wander Old Town's charming streets and experience an old-world way of life. Or, they can climb Filerimos Hill to visit the medieval ruins. There are interesting castles at Kastellos and Monolithos. The 200 BC Acropolis of Rhodes is another must-see. Rhodes has a number of terrific beaches, where visitors can sun themselves, scuba dive or surf. 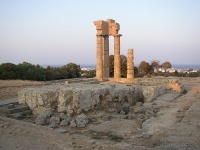 Options include Rhodes Town, Lindos, Faliraki, Tsambika and Ixia. There are also smaller and quieter beaches at Ladiko and Afandou. Children usually enjoy Rhodes' beaches and other attractions. 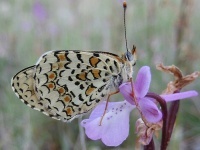 The Valley of the Butterflies, local aquarium and the Faliraki Water Park are excellent choices.